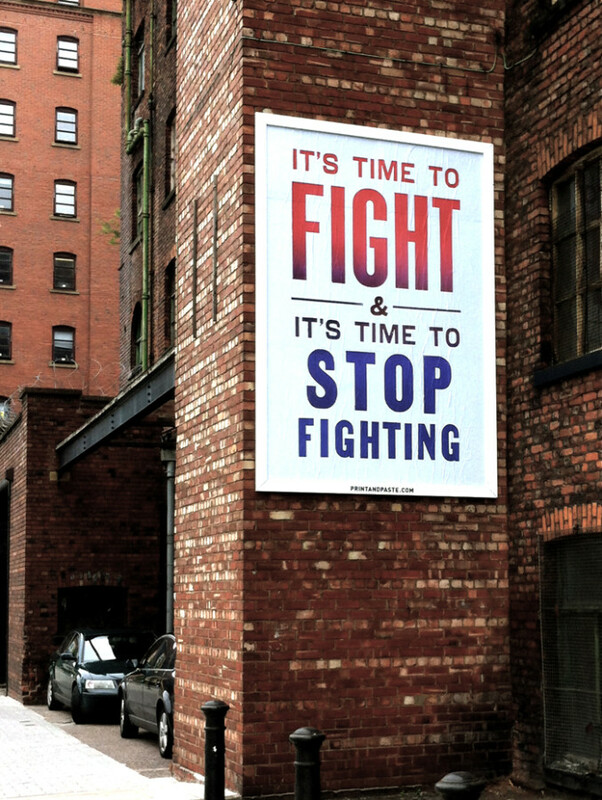 My sliding-scale priced “It’s Time to Fight” letterpress print has been turned into a billboard in Manchester, England by the nice folks at Print & Paste. I was stunned and delighted to see it at this scale. Print & Paste is a curated outdoor art space in central Manchester, located just off Oxford Rd opposite the old BBC building. Every month a new artist is invited to exhibit work on a large 16-sheet board traditionally used by advertisers. 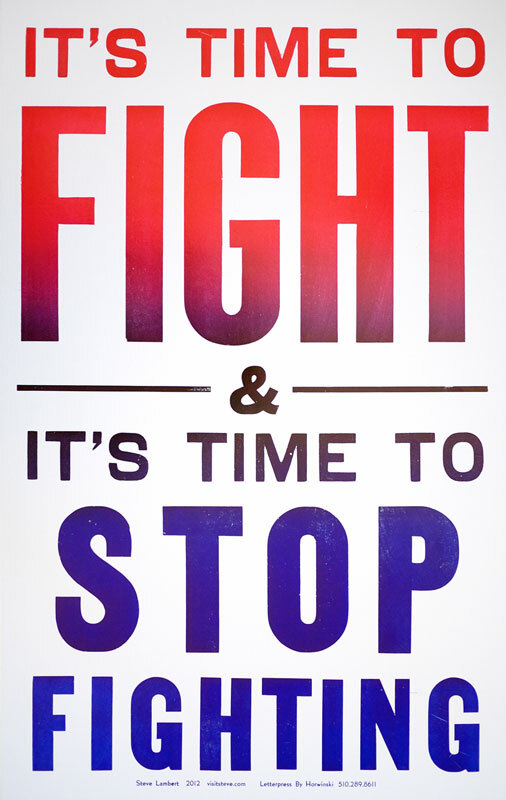 “We aim to support the artist and inspire the public by using the space for freedom of expression, positive social commentary, and the exhibition of original work.” Print & Paste is a collaboration between Micah Purnell, Dave Sedgwick, Nick Chaffe, and Jim Ralley and facilitated by Daniel Jones.